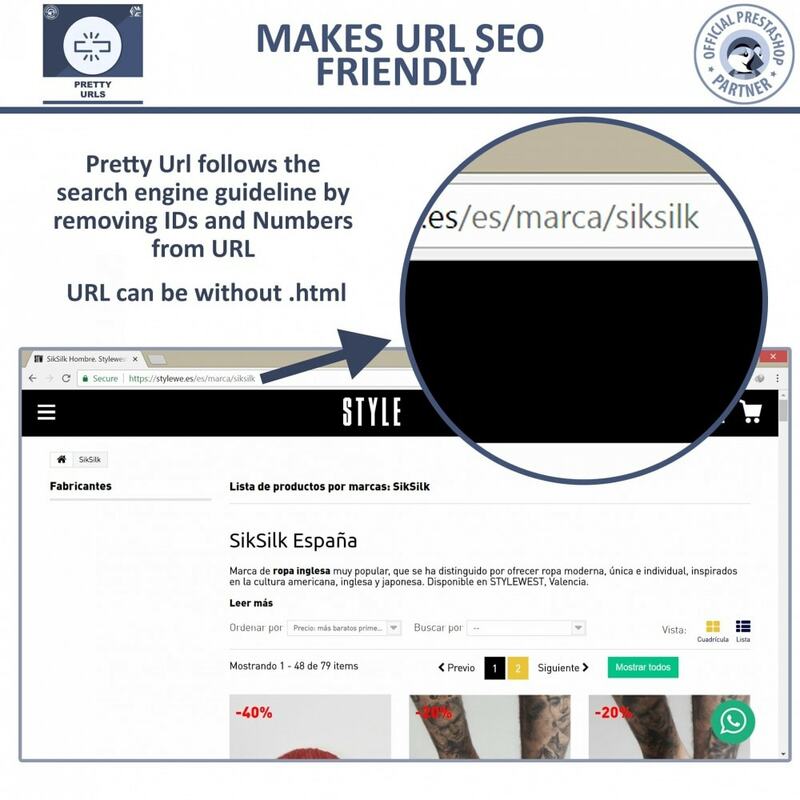 Do you want to eliminate IDs from the URLs of your PrestaShop store, so that links of Ecommerce store become search engine friendly, to get better ranking in search results? 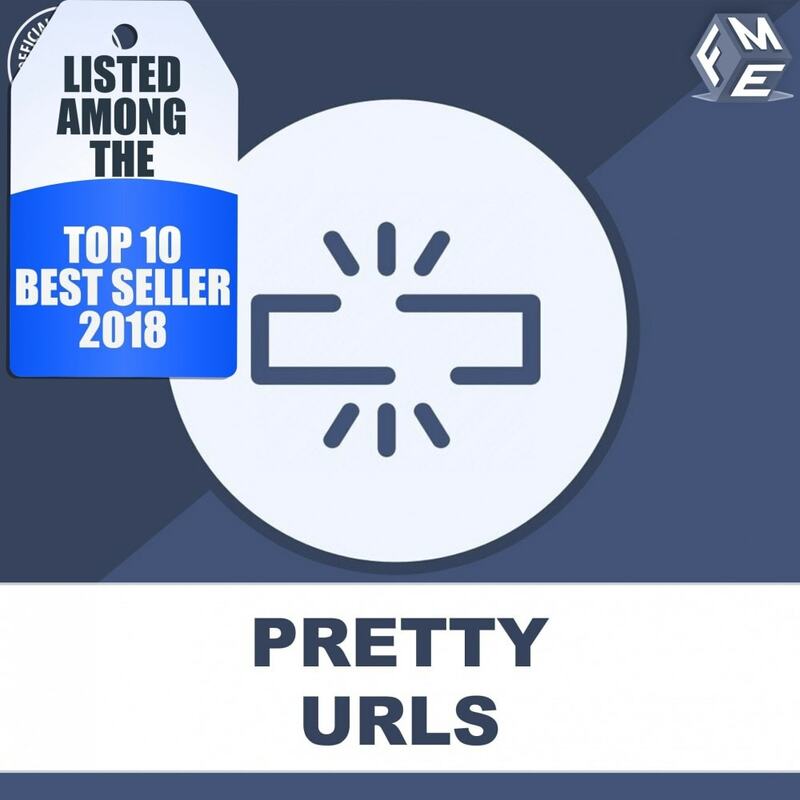 PrestaShop Pretty URL module removes automatically generated IDs and numbers from the URLs, so that they could become friendly not only to users, but also to search engine for better ranking. 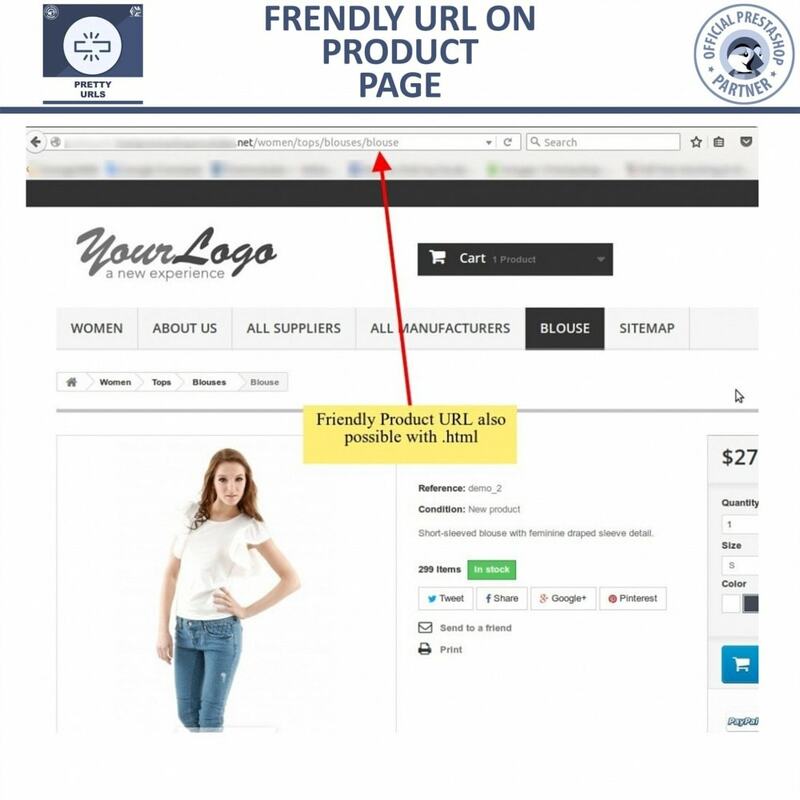 The default URLs of PrestaShop store contains IDs that are not according to the guidelines provided by search engines. Mostly dynamically generated URLs are meaningless, irrelevant, uninformative and have less potential for higher ranks in search results. 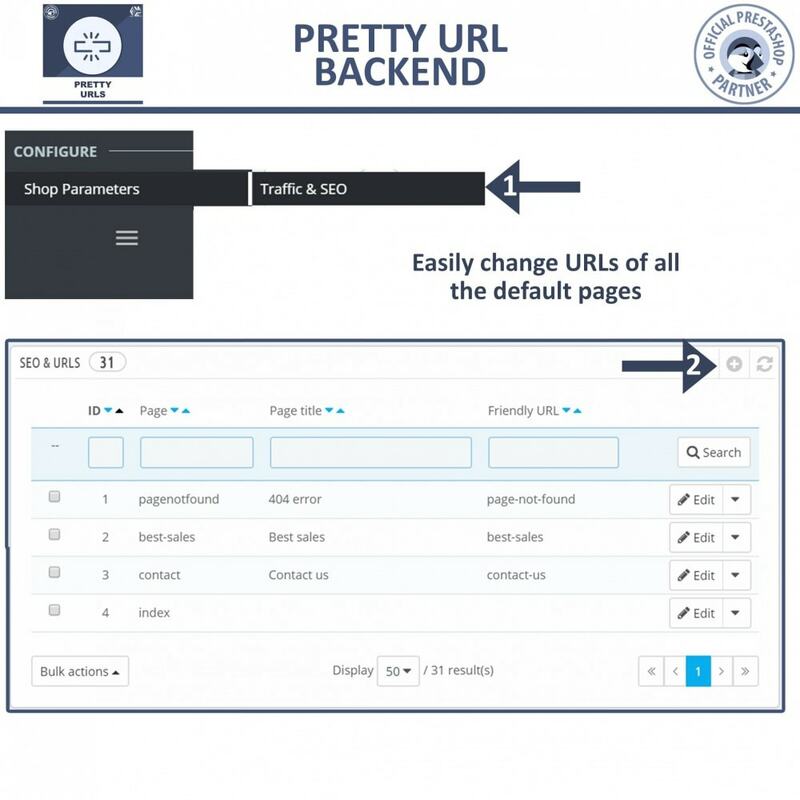 For that reason, PrestaShop Search Friendly Pretty URL module cleans the URLs that are user friendly as well as search engine friendly, it replaces randomly generated IDs from website addresses. 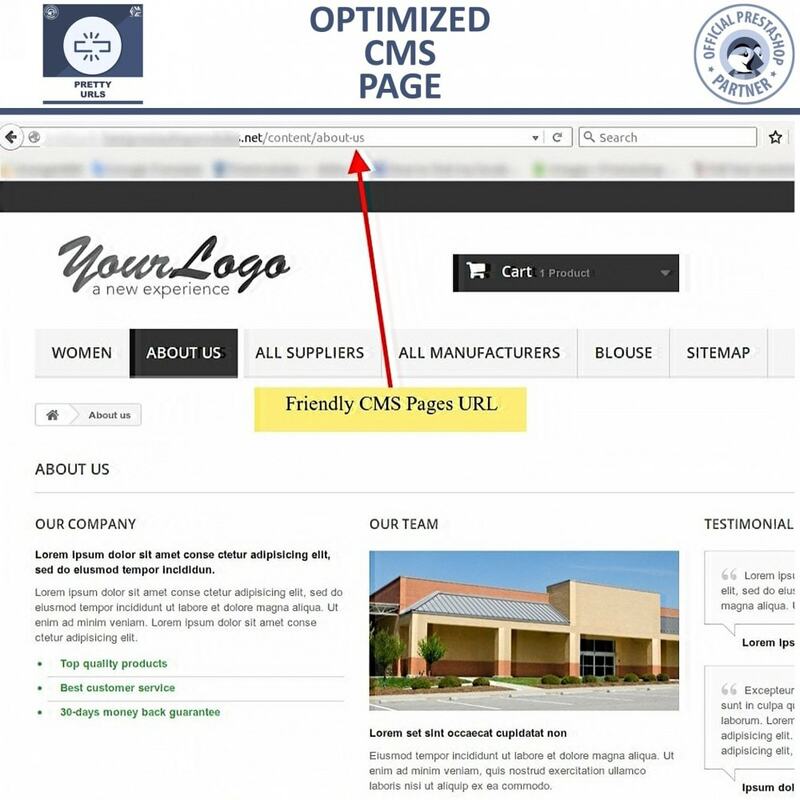 Rather than using irrelevant characters in address like www.domain.com/1-product-A, the add-on cleans the URL and adds the name of product & service that is offered through the page like www.domain.com/product-A. 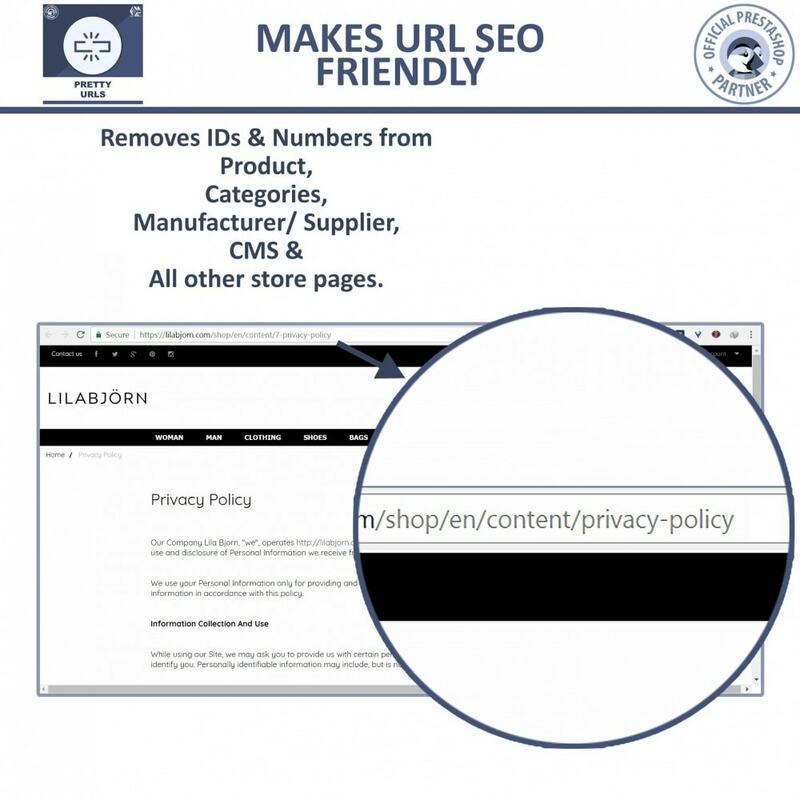 This PrestaShop url id remover module will remove the IDs & Numbers from URLs of products, categories, CMS pages, manufacturers and suppliers and all other store pages. 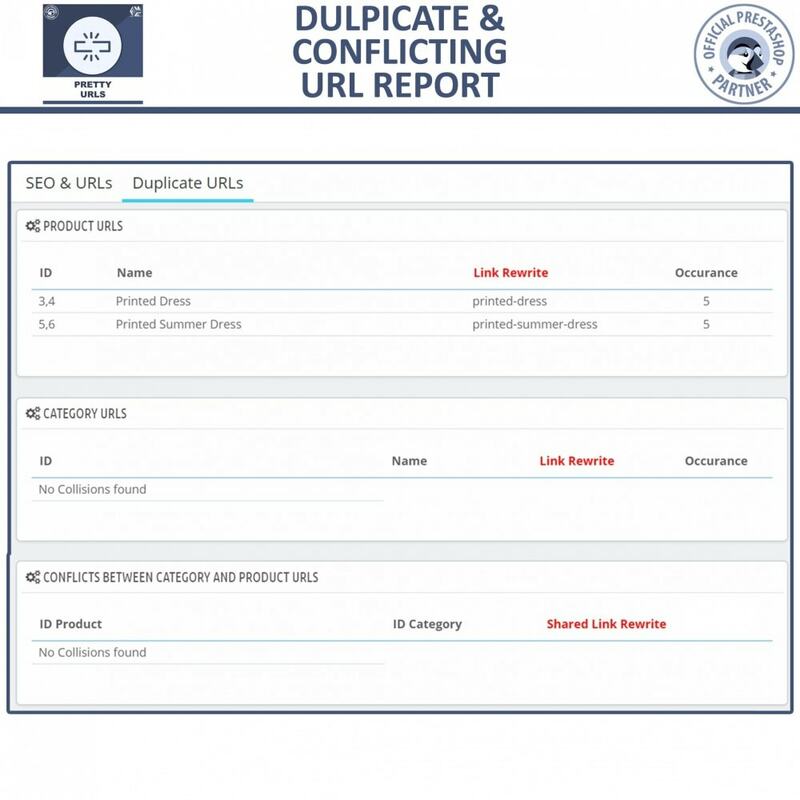 The seo url PrestaShop extension automatically 301 redirects OLD URLs to the newly generated clean URLs to avoid 404 errors. 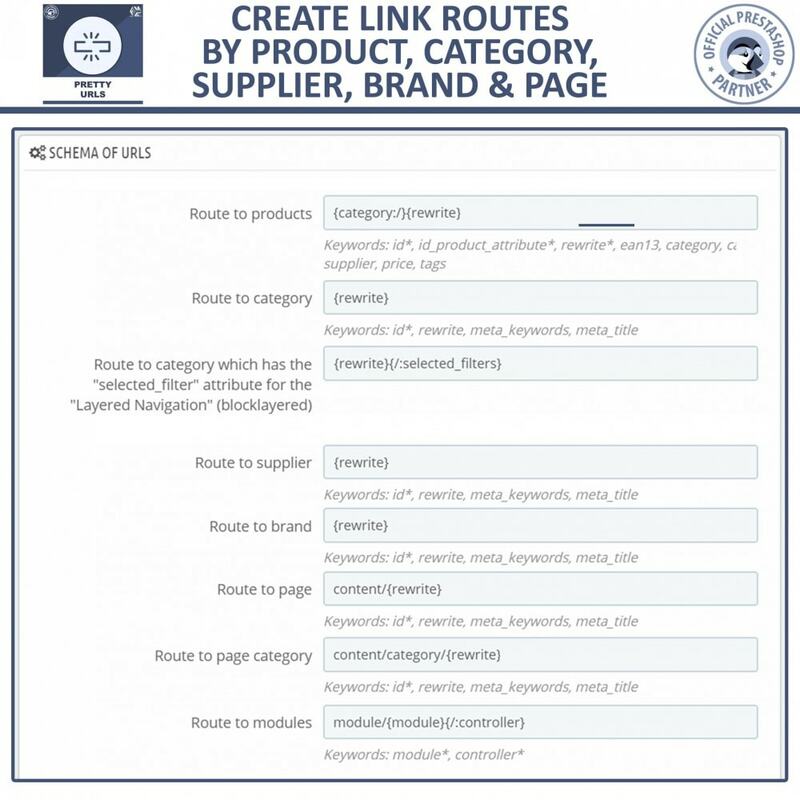 You can manually rewrite the URLs to include/exclude category-tree from Product and sub-category URLs. You will not lose any rankings. 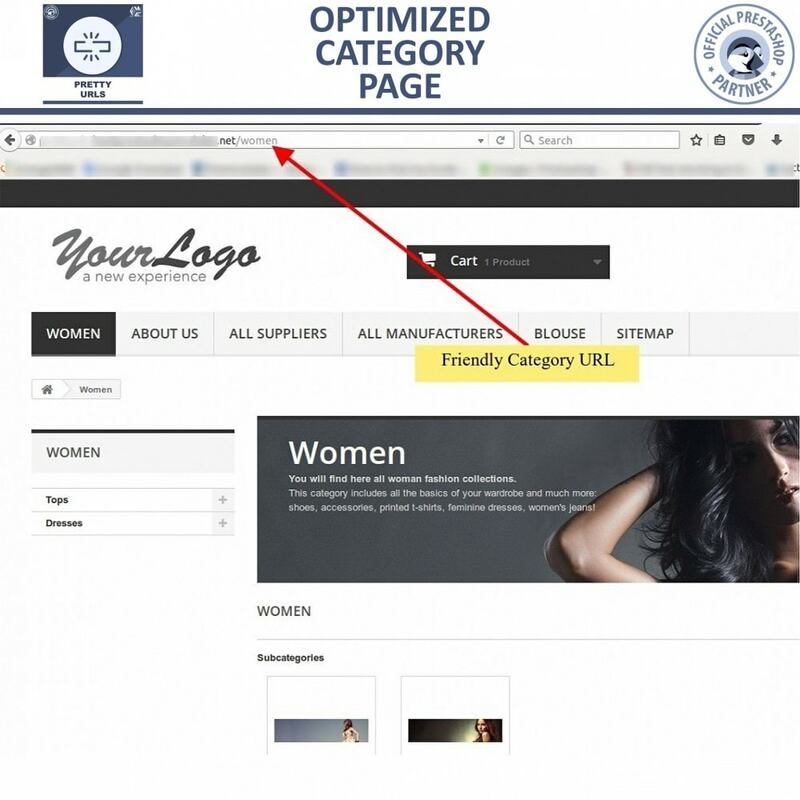 The plugin also removes numbers, tags and session IDs, thus making them user as well as search engine friendly. Q. Will I lose my current website rankings? A. 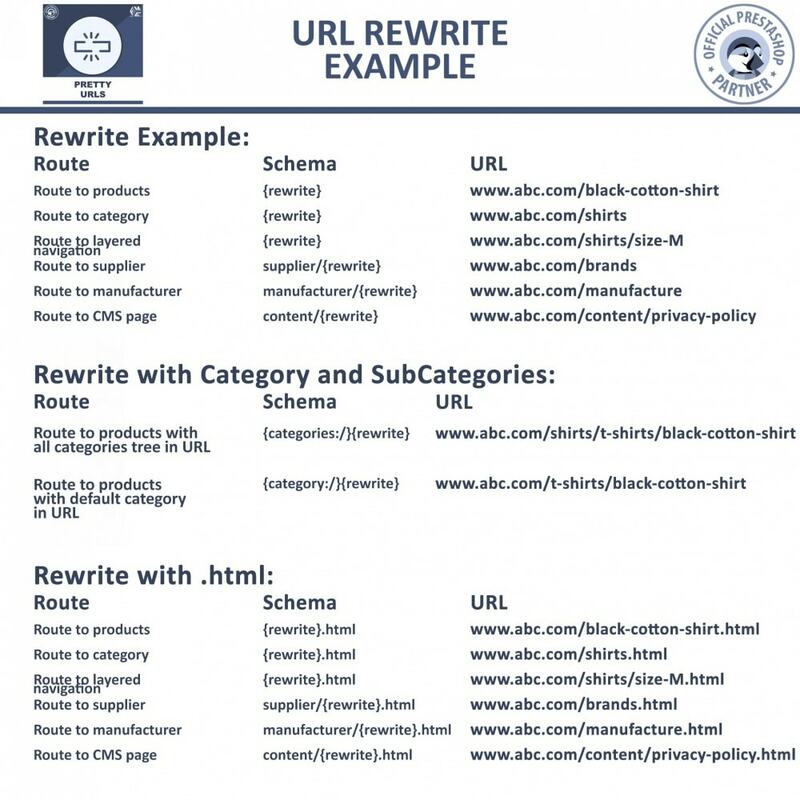 No, You will not lose your current rankings, Pretty URL module 301 redirects old URLs to New ones. Q. Will I get any 404 Errors? A. There will be no 404 errors. Q. 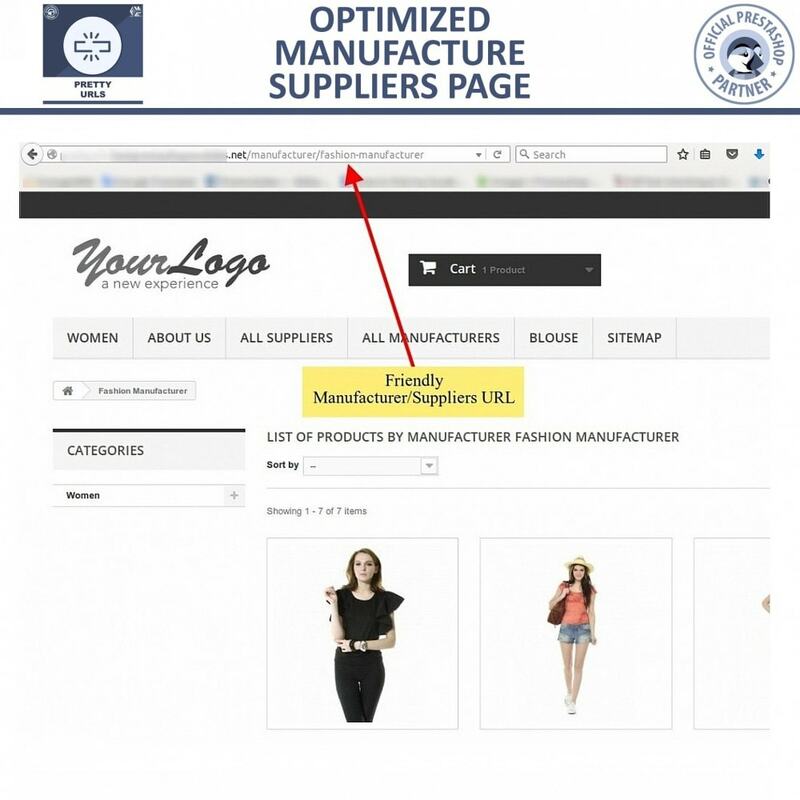 Can I keep the Product URLs without category link in them? I never thought I will get such kind of helpful support for this module. In configurations and setting up on my store, they helped till I get satisfied. 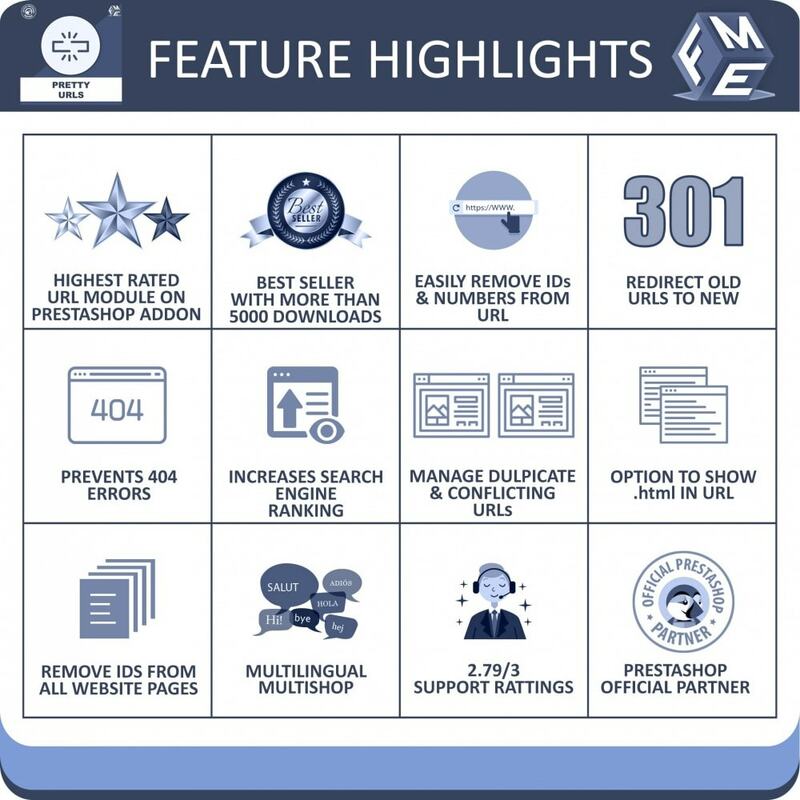 Trust me they are the best guys on Prestashop marketplace. As promissed everything works fine, 5 stars!! Very simple to use and powermail for SEO.rnFastest support I've ever seen!